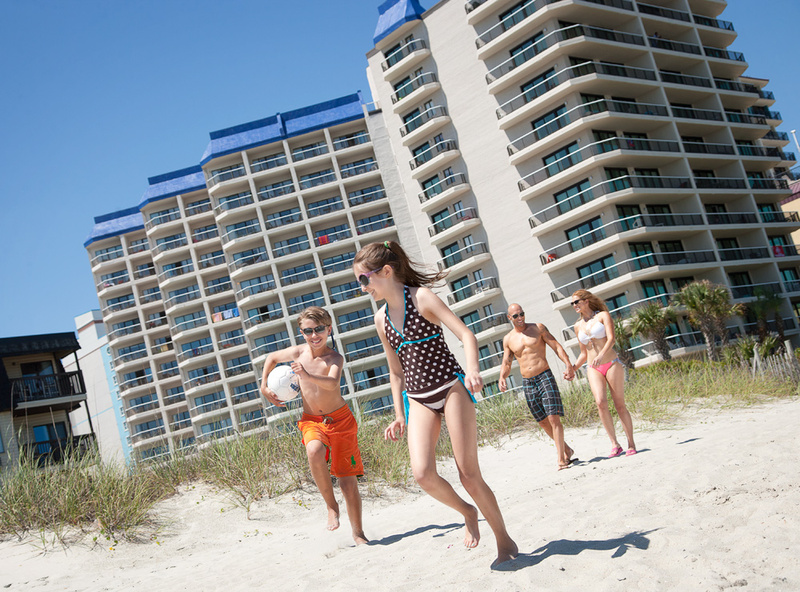 When choosing where your family will stay on their Myrtle Beach vacation you have to make sure there will be something for everyone-- Activities tailored just for the kids, a place where teenagers can socialize and someplace relaxing for Mom and Dad to just lay by the pool with a cold drink. 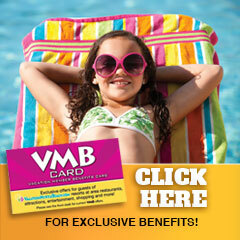 To simplify your search we’ve created a list of the top family friendly Myrtle Beach resorts at Vacation Myrtle Beach. 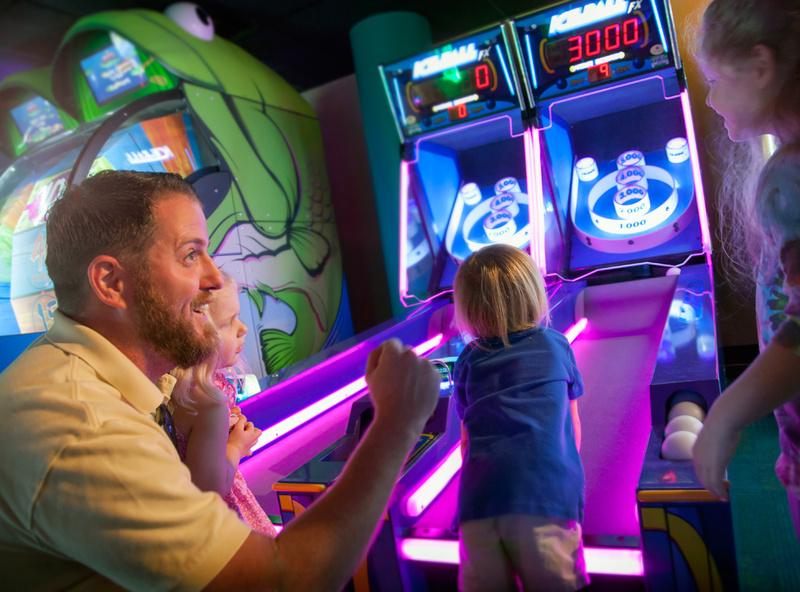 Captain's Quarters Resort truly has all ages’ entertainment. It all starts on Level 6, where you can drop off your teens to play at the 20 lane bowling alley or leave the little ones in the 2000 square foot arcade. All while you enjoy a drink or some food at the bar which safely looks over it all. Looking for some fun in the sun? Well look no further than the beachfront Shipwreck Lagoon, a huge water attraction that is exclusive to resort guests. Kids can play on a wrecked pirate ship, shoot water cannons and say “aye aye” to the park pirate. They’ll be splashing through waterfalls, leaking barrels and dumping buckets all afternoon while adults and teens can enjoy the separate pool and hot tubs. As if that weren’t enough Captain’s Quarters also offers a Children’s Summer Activity Program starting at the end of May. 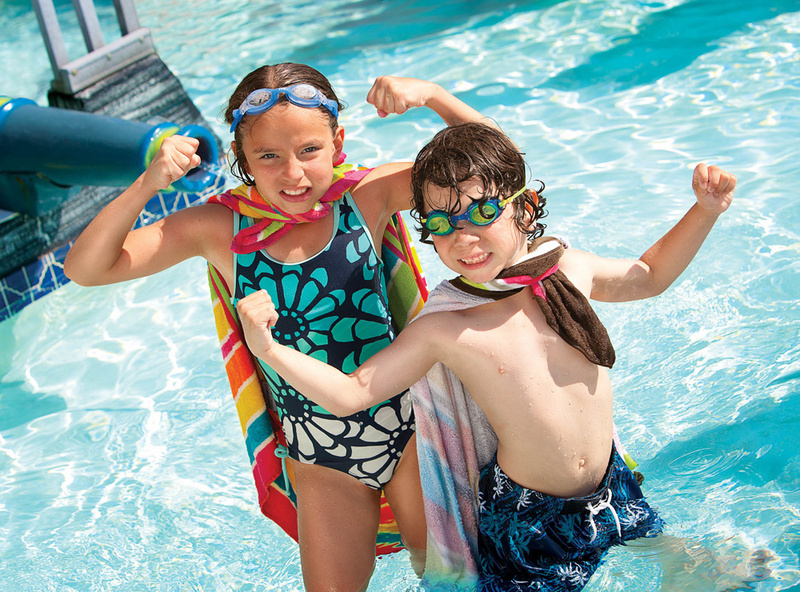 Here kids can participate in pool games, treasure hunts, tie dyeing t-shirts and much, much more. Parents can have some time alone to lounge by the pool, take a relaxing ride down one of the lazy rivers or explore nearby downtown Myrtle Beach. There is so much to do at Captain’s Quarters that your family won’t have to leave the resort, and why would you want to? Your family will never want to leave the block long, beachfront poolscape at The Caravelle Resort. It features a bubbling whirlpool for the adults and the Wild Water Pool with buckets and tunnels for the kids to splash away the afternoon. Make sure to stop in to Pirate’s Cove Ice Cream and Sandwich Shop for a scoop of your favorite flavor. If Mom and Dad need some alone time, drop off the kids at The Caravelle Kids Club during the summer to play pool games and make friends. Meanwhile the adults can lounge on the peaceful 7th floor sun deck while enjoying the views and ocean breeze. Or they can grab a refreshing drink at Liquids Lounge. And if there’s anything else you’re interesting in doing while on your Myrtle Beach vacation, the resort concierge is here to help with your vacation plans. You won’t be sorry you brought your family to The Caravelle. Landmark Resort is one of the only hotels in the area to combine the best parts of a Myrtle Beach Vacation all in one hotel. You may never want to leave the resort! Landmark has a newly renovated poolscape with oceanfront pools, hot tub, and lazy river. Just steps away is the is the H2OASIS waterpark with waterfalls, jet tunnels, and a lap pool! Kids and adults alike will enjoy challenging each other to a miniature golf course to see who has the best ball skills! And if the sun gets too hot, Landmark's indoor pool has a fresh new look with a fun water fountain in the middle, as well as a lazy river for kids, a separate river for adults, and plenty of hot tubs! After you work up an appetite, grab a bite at the Gazebo Restaurant, Latitiudes Bar and Grill, or the Havana Java Bar which proudly serves Starbucks coffee. Landmark Resort has it all! Located central to many Myrtle Beach attractions, Beach Colony Resort is just a short drive from a variety of family-friendly attractions from the Myrtle Beach Boardwalk, Myrtle Beach SkyWheel, Ripley’s Aquarium, WonderWorks and so much more. For those looking to spend their days relaxing and having fun in the sun, Beach Colony Resort offers guest with children many family-friendly amenities. Spend the afternoon splashing in one of the outdoor pools, or whisk your worries away with a family ride down the lazy river. 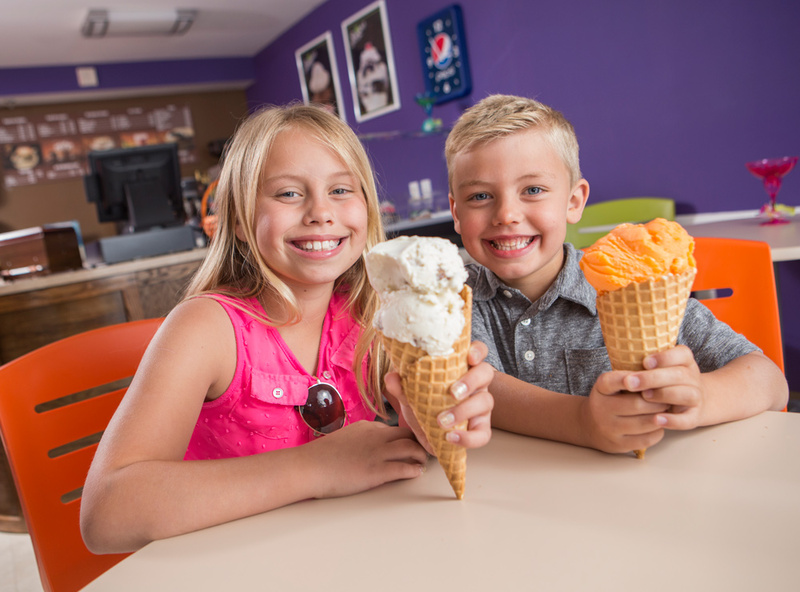 Kids will enjoy activities all summer long and indoor activities that are readily available including a video games room, Shark Bites Ice Cream and Snack Bar and the racquetball court. Beach Colony Resort has the perfect balance of water amenities and beach beauty with their oceanfront lawn where your family will be steps away from a day at the beach. For families wanting to stay in North Myrtle Beach during their family vacation, Beach Cove Resort is the perfect choice. Not only is North Myrtle Beach known as being family-friendly, Beach Cove Resort fits right in with this theme. With all oceanfront accommodations, you can’t go wrong. 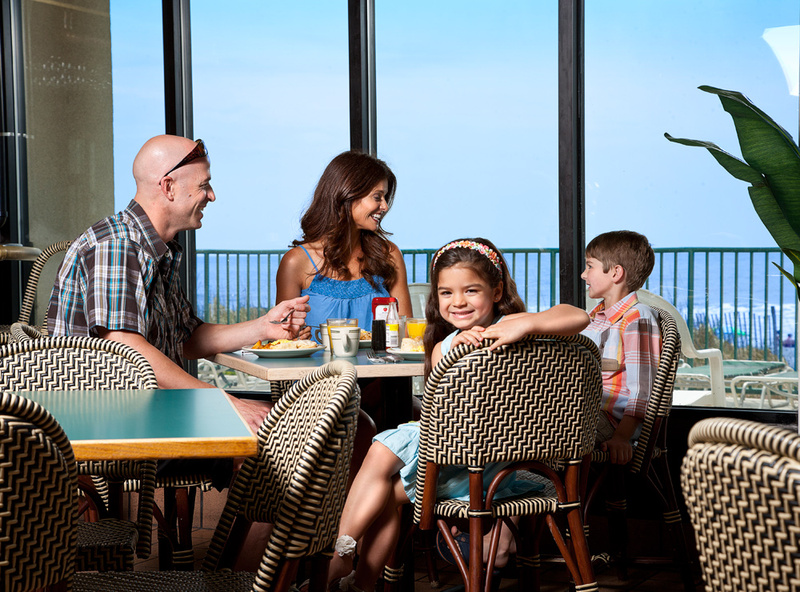 Wake up to the sunrise over the ocean and grab breakfast with the family at Tradewinds Café. Stop by the Grab N' Go Grill & Coffee Bar or Breeze’s Beach Bar and Grill for an afternoon snack that the whole family can enjoy. Beyond great dining, Beach Cove Resort offers seemingly endless water activities surrounded by the tropical outdoor pool deck. From the 350-foot lazy river to the four outdoor heated pools, Beach Cove has it all. For cooler days, this North Myrtle Beach resort also provides guests with access to their indoor pool and whirlpool, racquetball court, and don't miss the new Town Center with Game On! Arcade, Tipsy Turtle Beach Bar, and gorgeous oceanfront views while eating and watching the game on the flatscreens. With family activities and events all summer long, you can’t go wrong with this North Myrtle Beach family resort. Carolina Winds Resort offers a feeling of home to all guests that enter through its doors. Located oceanfront in Myrtle Beach, Carolina Winds Resort features a large oceanfront outdoor pool as well as indoor and outdoor whirlpools, an outdoor lazy river and an indoor pool. Kids will enjoy getting a tasty cupcake from Cravinly’s, an on-site restaurant that serves up sandwiches, cupcakes and more. Looking for some indoor fun? Carolina Winds offers guests access to their indoor game room and their exercise room (great for parents). Families looking for a relaxing and family-oriented resort need to look no further than Carolina Winds Resort. Ocean Creek Resort, located directly across from Barefoot Landing, offers families with the safety of 24-hour gated security on their 50-plus acre property. For the budget-minded, Ocean Creek Resort provides families with the option of staying in a Lodge Villa, just a short walk from the beach, or one of their many other accommodations including oceanfront units in their two oceanfront towers. From an indoor pool to multiple outdoor pools, Ocean Creek provides families with fun water amenities. Plus, Ocean Creek has it’s very own natural water feature – a creek that rises and falls with the tide where children can be founding splashing in the shallow water and collecting shells to take home with them. 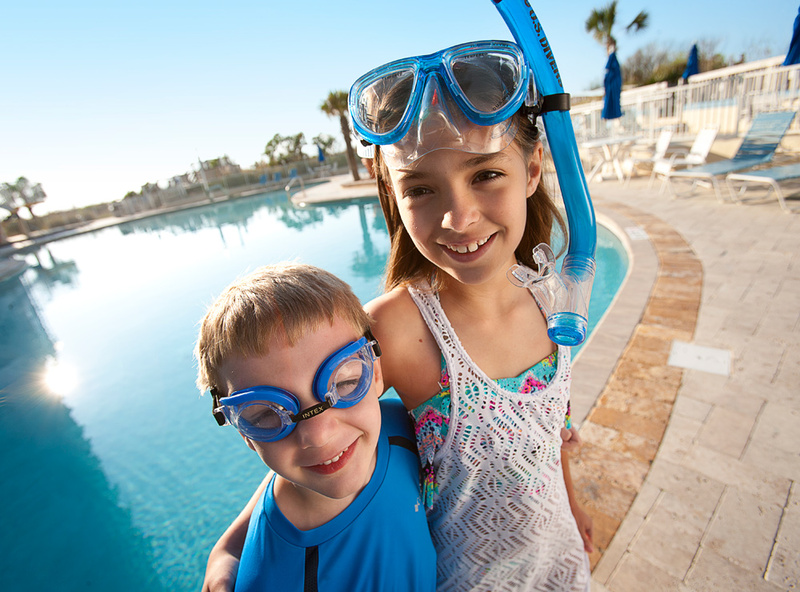 Ocean Creek Resort is a true family resort, no matter what you budget is. Palace Resort is the perfect place for families. Just a short drive to Broadway at the Beach, The Market Common and the Myrtle Beach Boardwalk, Palace Resort’s south Myrtle Beach location is the perfect spot. Kids and adults alike will enjoy splashing in the oceanfront pool, just steps away from the sandy beaches of Myrtle Beach. 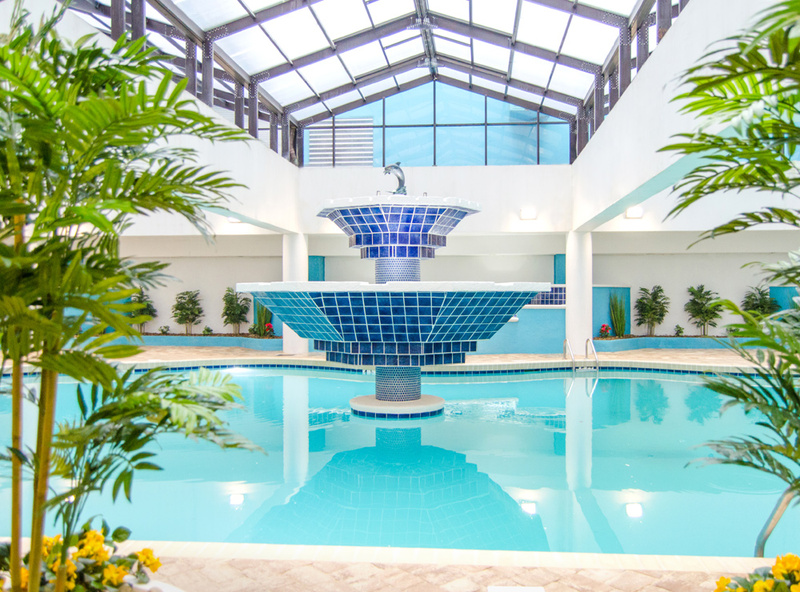 Palace Resort also provides families with the use of indoor and outdoor whirlpools, a putting green, sauna and more. Sea Watch Resort is a family-friendly destination. Located on the north end of Myrtle Beach, this resort features more pools than the average resort. Choose from any of the six heated pools, two 225-foot lazy rivers, a kiddy pool, and multiple hot tubs. 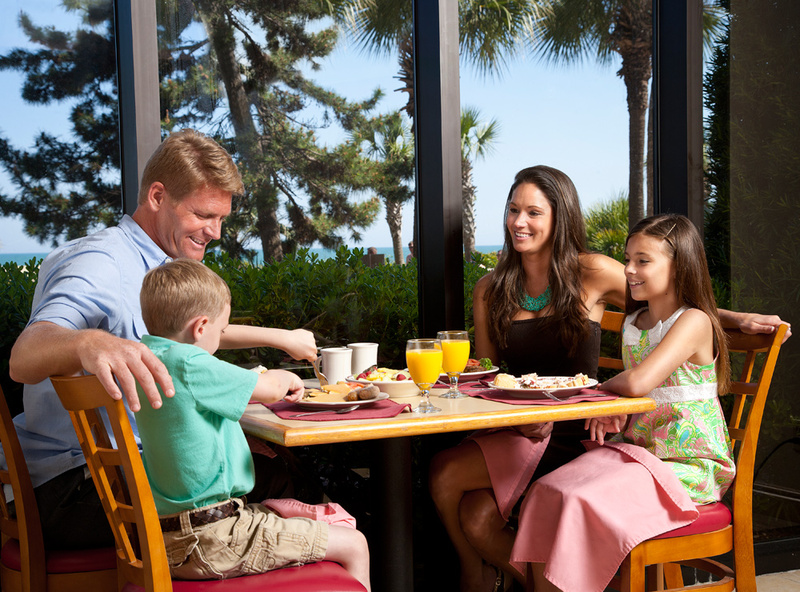 Once your family is done splashing in the pool, the on-site coffee and ice cream shop, tiki bar and oceanfront restaurant have you covered for all of your dining needs. Guest can also grab a pizza from Seaside Pizzeria - choose whether you want to dine in, take it out, or have it delivered anywhere on the property! Kids will also enjoy the game room and seasonal children’s activities during your family vacation. Be sure to check out Sea Watch Resort when booking your next Myrtle Beach family vacation! Crown Reef Beach Resort and Waterpark, located on South Ocean Boulevard, is a terrific resort dedicated to offering families an enjoyable and relaxing vacation. Not only is Crown Reef in the heart of the action in Myrtle Beach, it’s located just footsteps from a par-3 golf course, two miniature golf courses, and a heliport rides company. The Myrtle Beach International Airport is just a short five minute drive away. 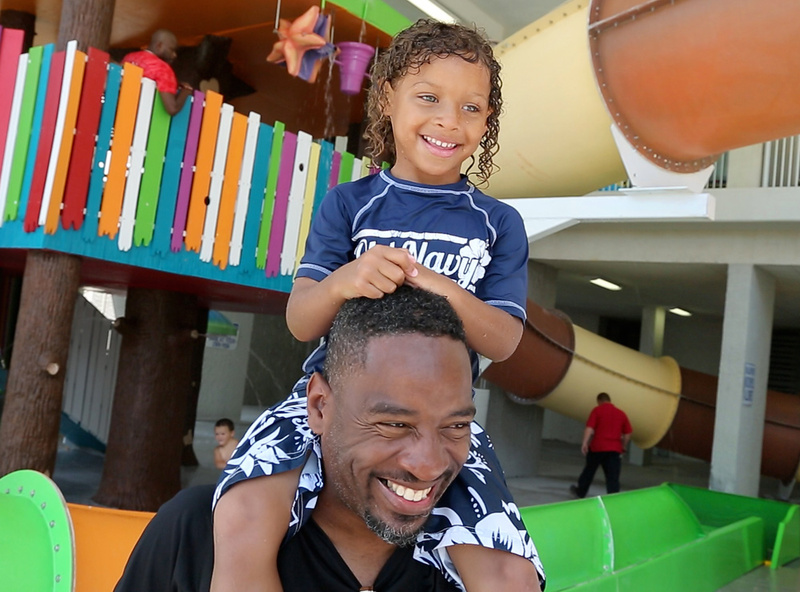 Your family will love the Waterpark, available year round, with three slides and Salty's Splash House! The largest slide is 38 feet tall and 302 feet long! If relaxation is most important, Crown Reef has over 20 pools, fountains, and whirlpools available on their large pool deck, and their 575-foot lazy river is the longest in Myrtle Beach. When all that play time makes everyone hungry, try a tasty ice cream snack at the Pool Bar & Grill. The Loco Gecko restaurant and adjoining Town Center are open year round and feature the Game On! arcade, Grab N' Go food options, and the Swirl Ice Cream and Sweet Shop! Located near some of Myrtle Beach’s top shopping retailers in Market Common, Crown Reef offers family a full-rounded vacation that sure to amaze. These Vacation Myrtle Beach hotels are perfect getaways for family fun. Plan a vacation your kids will never forget! Whether it is your first time in Myrtle Beach or you are a seasoned veteran, you may be looking for a travel itinerary that is right for your family. If you are traveling to Myrtle Beach with kids, you will want to plan ahead to make the most out of your vacation and make sure you fit in all of the attractions and activities that your family is most looking forward to. 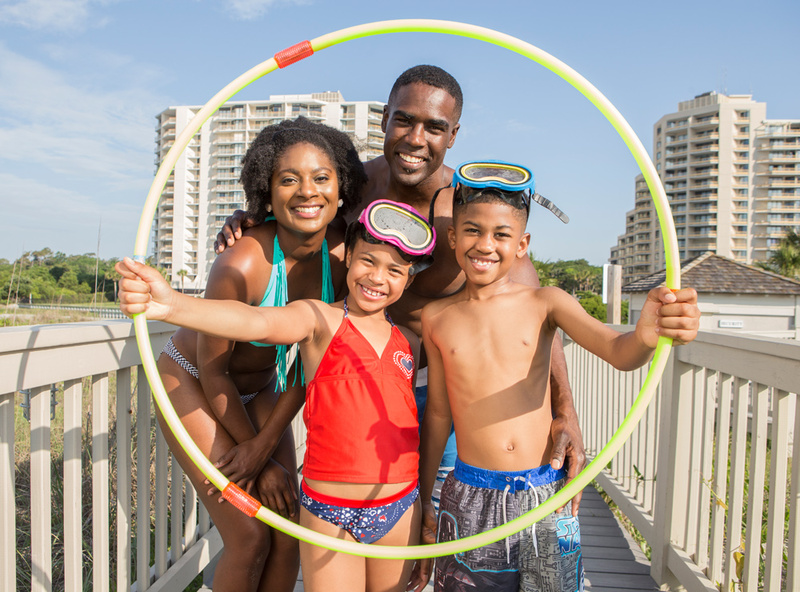 We’ve compiled an example schedule of what your family can do if you are traveling to Myrtle Beach with children for your vacation.